Skirt is full enough for a petticoat. Based on a 1950’s dress. We use lots of piping on this dress to accentuate all the details! 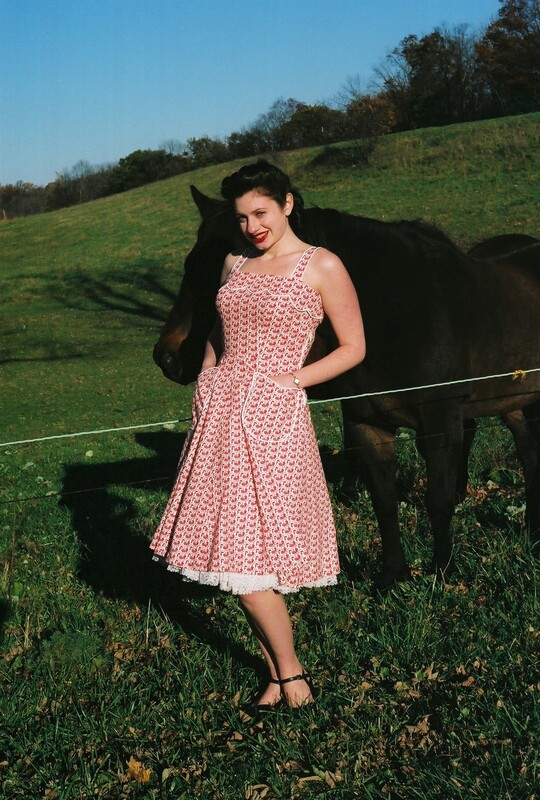 You’ll feel like you stepped right out of a 1950s magazine in this adorable dress! 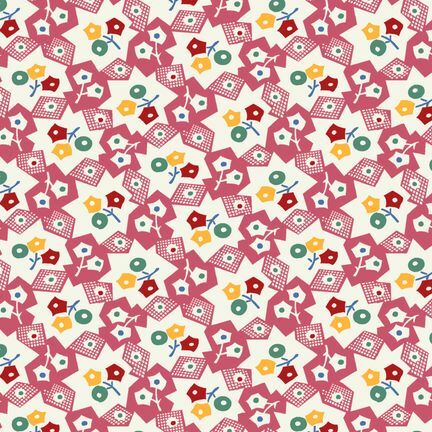 Fabric is 100% cotton, in a vintage reproduction fabric! Fabric is pink and white with little round flowers in abstract bursts, very unique! This dress is great in cotton, and the pockets are lined so you can use them and the thickness of the fabric will conceal that you’re carrying much. The fabric in the pictures above is slightly different than the actual fabric, look at the swatch to see what the actual fabric looks like. This dress is great for dancing in, especially with a petticoat. Or even dress it up with a cardigan or bolero for a evening event. Also available in custom fabrics! Please send us an email if you are interested in buying in custom fabric.